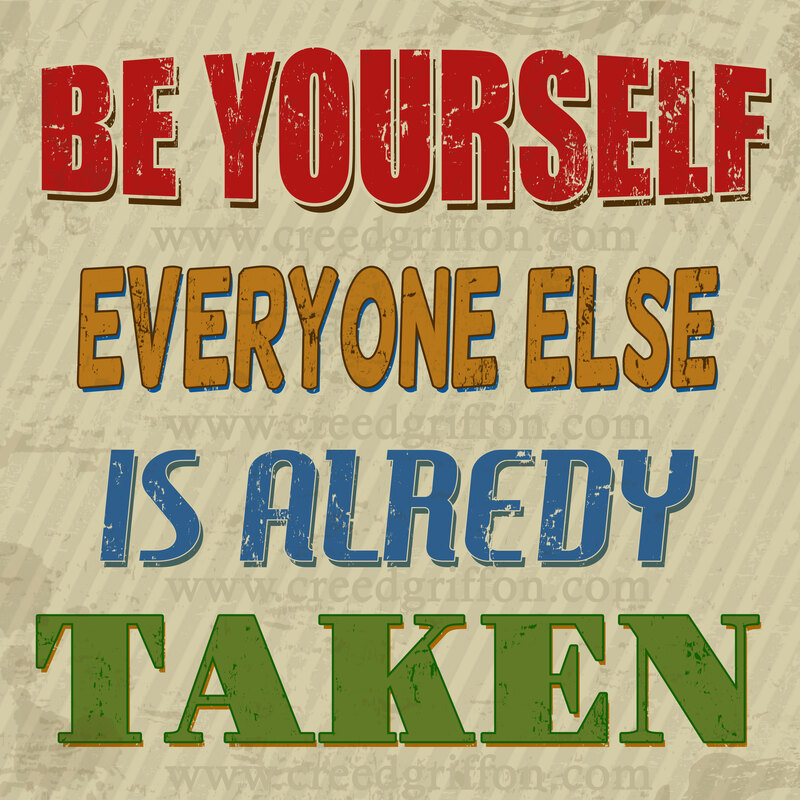 Be Yourself Everyone Else is Already Taken! I’ve had the privilege of teaching kids of all ages. I love it for many reasons, but it’s also allowed me to see everything from the latest fashion trends to technological trends, and some zany creative usage of the English language. From these experiences, I’ve been afforded an interesting perspective in that, this world offers tons of examples of what ‘they’ think we/I should look like, act like, talk like, be like… What we should eat, drive, wear, the color and style of our hair… This is evidenced best when we are young and still finding our footing, but perpetuates into our adulthood as well. If you’re like me, we often struggle to fill these shoes, because frankly they’re not our shoes to fill. It’s like trying to run a race in shoes that are either too big or too small. It just plain won’t work, not to mention slow you down. Don’t let society or people limit you to what they think is best for you. Have the courage to be who you are. There’s only one of you, and that makes you entirely and utterly unique.